Joe Ripp, a former chief financial officer at Time Inc., has been named CEO of the magazine publishing unit. Time Inc. has tapped veteran media executive Joe Ripp to be its new CEO, leading the magazine publisher as it is spun off from corporate parent Time Warner. Time Warner CEO Jeff Bewkes said in a memo to employees Monday that Ripp is "a highly respected executive with a distinguished record of taking on difficult challenges and delivering financial results." Ripp worked at Time Warner from 1985 to 2004, serving as chief financial officer for Time Inc., Time Warner and AOL, which was spun off in 2009. After leaving Time Warner (TWX) in 2004, Ripp became president and chief operating officer at pharmaceutical software company Dendrite International. He also chaired the Journal Register Company, which owns more than 50 newspapers, and most recently served as CEO of marketing and business information firm OneSource. Time Inc. is the nation's leading magazine publisher. Its publications include the flagship newsweekly Time magazine, as well as People, finance titles Fortune and Money, Entertainment Weekly, Sports Illustrated, InStyle, Essence and Real Simple. People is widely believed to be the nation's most profitable magazine, although Time Inc. does not break out financial results for individual titles. In March, corporate parent Time Warner announced it would spin off Time Inc. as a separate company with its own stock that would go to Time Warner shareholders, a move that is expected to be completed by the end of 2013. 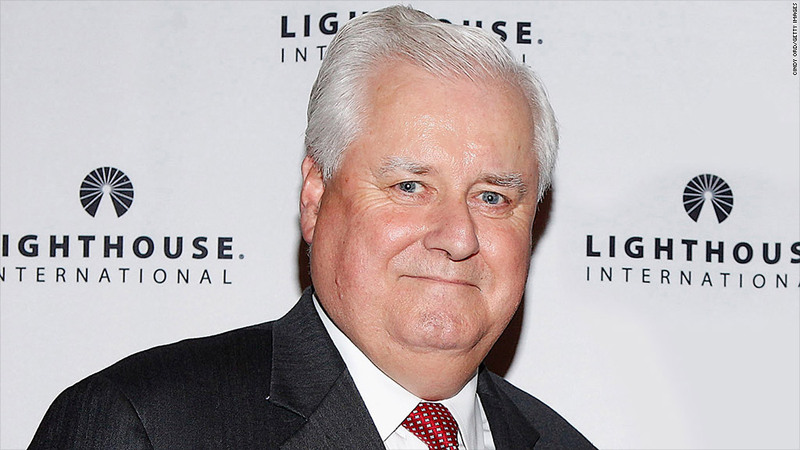 At the time of the announcement, the company also disclosed that Time Inc. CEO Laura Lang would be leaving after only about a year on the job. Bewkes said Lang "will be taking an office at Time Warner" and will advise the company during the separation. Ripp will be the third full-time CEO named to run Time Inc. since the departure of Ann Moore in 2010. Lang's predecessor, Jack Griffin, held the CEO spot for a little less than five months before he was ousted. He was followed by 10 months of leadership by a committee of executives until Lang was appointed to the top spot in November 2011. The division announced plans to cut about 6% of its staff, or nearly 500 employees, in January. Time Inc. has been buffeted by the industry-wide shift from traditional print media. The unit reported a $9 million loss in the first quarter due primarily to severance costs. While it earned an annual operating profit of $420 million during 2012, that was less than half what it earned in 2007. The problems for print media are not limited to Time Inc. Last October, Time rival Newsweek announced it would halt its print edition.